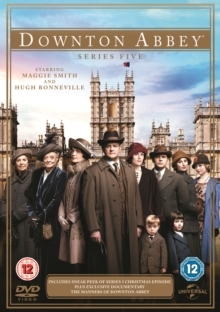 The entire fifth series of the award-winning ITV costume drama following the lives and loves of those above and below stairs in an English stately home. Set in 1924, the family and staff of Downton Abbey try to adjust as Britain experiences political changes under the new Labour government and the estate's future is put into question. Meanwhile, Lady Mary (Michelle Dockery) starts to think about marriage again.